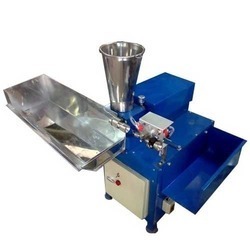 Offering you a complete choice of products which include supermarket product spices, granules packing machine, cashew nut packing machine, automatic computer sambrani packing machine, semi automatic agarbatti packing machine, gum packing machine and milk pouch packing machine. Range : 1 nos to 100 Nos. Manual feed any objects. 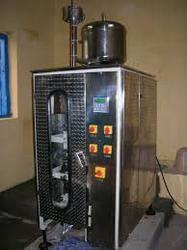 Pathy, Karupuram,(Camphor), Crackers, Sambar, Rasam, Food, Bold Nuts, Washer etc. 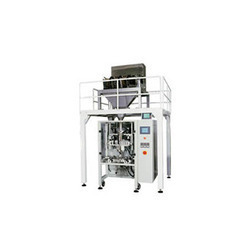 A Vertical Form Fill sealing Machine for producing centre seal / Three side seal / four side sealed sachets for handling all types of liquid and paste. 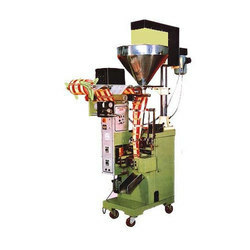 Range : 10-100gms; 50-500gms;200 -1000gms. Liquid like Shampoo, Grease, Pickles, Coconut oil, Edible oil etc. Spices, Rice, Dal, Masala granules, Masala Powder, tea, coffee, sugar, salt etc. 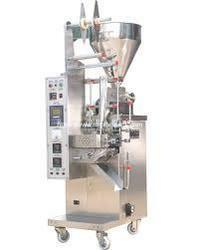 Spices, Masala granules, Masala Powder, Tea, Coffee, Sugar, Salt, Namkeen, Free Flowing Granulated Material etc. 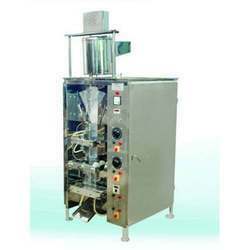 Range :1 – 10ml; 5 – 20ml;20- 50ml; 50 –100ml;100–200 ml. 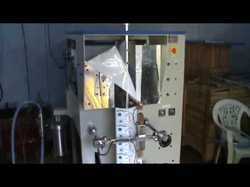 Packaging material : Any laminated polythene poly, metal Poly, Paper poly, aluminum poly etc. Oil - Coconut Oil Shampoo, Honey Syrup, Ghee, Engine oil, Vanaspati, Paste - Cosmetic Cream Jam, Jelly, Pickles with small pieces. 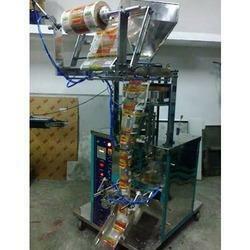 We offer good quality Wrapping Machine used for packing irregular, cubical, cylindered shaped products. 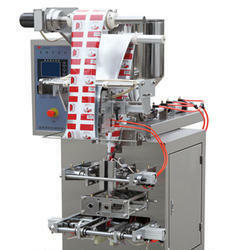 Our wrapping machine is available in high speed operation to mode to save power. The space of the factories where it is being used. 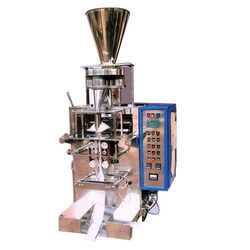 Spices, Rice, Dal, Masala granules, Masala Powder, tea, Crystal Salt, Detergent powder, coffee, sugar, salt etc. 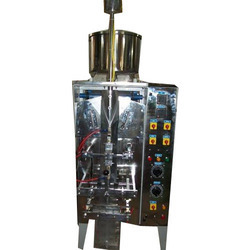 The Liquid Filling Machine is employed for packing free flowing liqud. 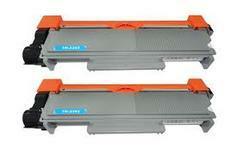 Power : ¼ HP, single Phase, 230 V.
(depending on the capacity filling). 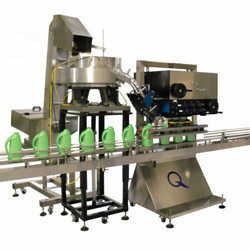 Operating with weigh-metric with 2 coil system & gravity force. 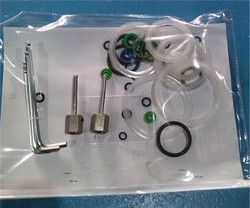 All the contact parts are in stainless steel. 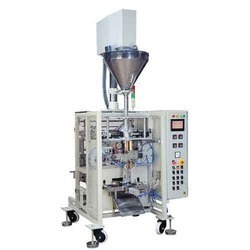 A Vertical Form Fill sealing Machine for producing center seal / Three side seal / four side sealed sachets for handling all types of powders, granules. 50 - 100gms; 100 - 200gms. Poly, Paper poly, aluminum poly etc. Pathy, Karupuram, Crackers, Sambar, Rasan, Food, Bold Nuts, Washer etc. 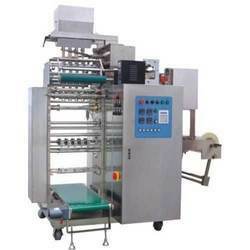 Power : 1HP, single Phase, 230 V.
Tooth Paste, Cosmetic creams, Pickles with small pieces, Adhesives, Jams & high Viscous products. 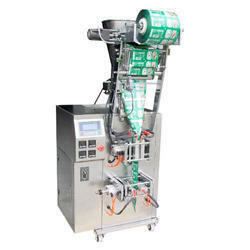 This machine can be used to fill Paste / Cream / Ointment. 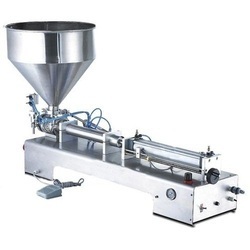 Capacity of the filling can be achieved from 5 grams to 250 grams. 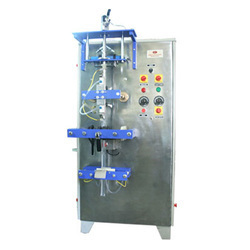 Very easy to clean, easy to operate and low maintenance machine. Power Supply : 230V Single PhasePower Consumption : 1.5 KwSpeed : 900 to 1500 pkts / hr (depending on packing size)Range : 1 nos to 100 Nos. 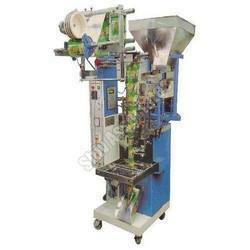 Manual feed any objects.Packing Material : Any Laminated Polythene Poly, Metal Poly & Aluminum Poly etc. Oil - Coconut Oil Shampoo, Syrup, Ghee, Engine oil, Vanaspati, Tobacc.o, Paste - Cosmetic Cream Jam, Jelly, Pickles with small pieces. 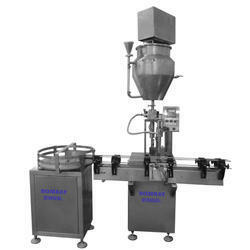 Range : 10-100gms; 25-250gm; 50-500gms;200 -1000gms. 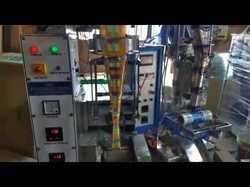 Chips, Snacks, Ball chips, cranes, candy chocolates, granules etc. 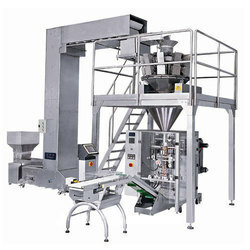 The versatile packaging machine is designed with sophistication and dedication to pack all kinds of liquids. 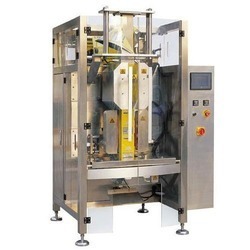 Machine specifications are liable for change due to continuous and innovative developments. Mineral Water, Rasana, Synthetic Juices, Milk, Butter milk and Arrack, Special pump is required for oil, fruit pulp, ghee & vanaspathy. Oil - Coconut Oil Shampoo, Syrup, Ghee, Engine oil, Vanaspati, Tobacco, Paste - Cosmetic Cream Jam, Jelly, Pickles with small pieces. 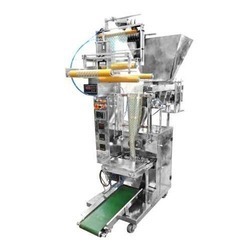 A Vertical Form Fill sealing Machine for producing center seal / Three side seal / four side sealed sachets for handling all types of Oils & Liquid. Oil - Coconut Oil Shampoo, Syrup, Ghee, Vanaspati. Paste - Cosmetic Cream Jam, Jelly, Pickles with small pieces. 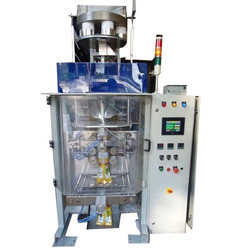 High Speed, latest and Functional Model developed to reduce power consumption by running the machine without air compressor. 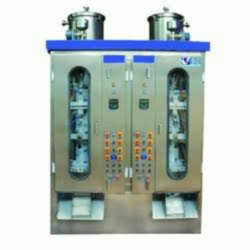 Encased in SS cabinet with individual safety device with ideal suits for packing any viscous liquids products.